Click here to read more from Kirkus Reviews. “Jared is flying in a private jet to visit his father’s diamond mine in the NorthWest Territories when the plane crashes. In his expensive sneakers and “raw” jeans, Jared is totally unprepared for surviving in desolate Northern Alberta. Fortunately Kyle Badger, a Cree teen, is camping nearby and comes to the rescue. After providing first aid for the injured pilot, Kyle tries to get Jared to return to his grandparents’ camp. But Jared insists on climbing a nearby hill, seeking cell phone service. 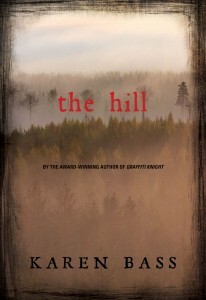 Kyle tells him that the hill is culturally taboo, but Jared refuses to listen. When they reach the top, there is of course no cell service. Instead the boys enter an alternate reality, a spirit world in which their action releases the Wîhtiko (aka Wendigo). The next two hundred pages are an adrenaline-filled fight for survival, where Jared and Kyle only manage to succeed due to Kyle’s wilderness training and the intervention of Wesakechak, the trickster. 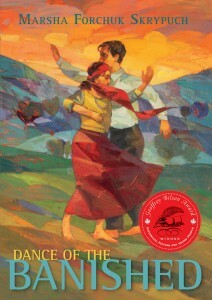 British Columbia artist Pascal Milelli created an illustration of a couple dancing the semah for the cover of Dance of the Banished. International Dance Day is a yearly event intended to celebrate dance as a universal art form that brings people together across cultural, political and ethnic barriers as a shared language. We’re celebrating today by giving centre stage to the semah, the traditional ritual-dance of the Alevi-Baktaşi people that is still flourishing today. The semah is the key form of worship among the Alevi. It is a twirling dance where men and women dance together but never touch. The semah’s style can vary widely depending on where it is performed, but its movements are always an expression of faith that symbolism the relationship between God, the Universe and Humanity; the rotation of planets; the progression of time and change; Ali’s ascension into Heaven; and the flight of cranes. It is always accompanied by a devout musician, often the community’s dede (spiritual leader), playing the bağlama (also called the saz), an instrument like a long-necked lute, but the music’s rhythm and characteristics also vary with community and region. The dance is commonly understood to have three parts. The ağırlama, the first stage of the dance, is characterized but slow movements; the yürütme, when the dance becomes more lively and the dancers begin to move around in a circle while making swooping arm gestures, and finally the yeldirme, the fastest and most difficult part of the dance. In 2010 the semah was registered on UNESCO’s Representative List of the Intangible Cultural Heritage of Humanity. There are several organizations in and outside of Turkey that work to protect and preserve this ritual-dance for future generations of Alevi, including offering semah training courses to Alevi youth and instruction in the bağlama for young men. You can learn more about the semah and the Alevi people in Dance of the Banished by Marsha Forchuk Skrypuch, or by checking out the links below. Pascal Milelli is an artist and painter based in British Columbia. He has contributed his talents to a variety of projects worldwide, including tea packaging in Holland, videogame slipcovers in England and book jackets. 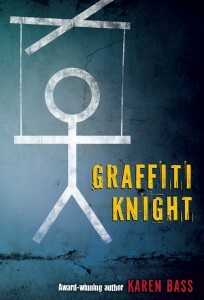 Perhaps his most recognizable work is the original cover art for Deborah Ellis‘ Breadwinner trilogy. Pascal is also the award-winning author of three children’s picture books. Click here to learn more about Pascal and view his portfolio. Since UN English Language day lines up with the anniversary of William Shakespeare’s death, we’re going to take a page out of his illustrious notebook and talk about some old-school English words that aren’t used so much anymore. Often mislabelled “Old English“, Shakespeare’s English is properly called Early Modern English, the direct forerunner of the Modern English we use today. 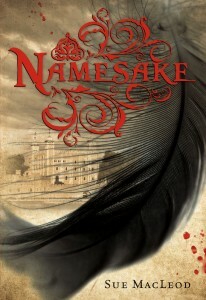 Early Modern English rose with the Tudor dynasty, the British monarchs who ruled during the era featured by Sue MacLeod’s YA novel, Namesake. In this novel each chapter opens with an Early Modern English word that has fallen out of general use. For English Language Day, we’re going to share a handful of our favourites here. Let’s start with a strange one that has well and truly disappeared. The only reason we have any record at all of the word “aroint” is because Shakespeare used it in Macbeth and King Lear. This unusual verb means “begone!” or “get thee gone!” and only exists in its imperative form as a command. Its origins are unknown, though there is some speculation that it is local slang that emerged from farming communities in and around Cheshire, England, where milkmaids were recorded saying “rynt thee” to their cows after milking. In another context, “aroint thee” is used as a defense against witches—“Aroint thee, witch,”—having been popularized in Macbeth. This usage may have its roots in ‘rauntree‘, an alternate name for the rowan. Rowan wood, it was popularly believed, had properties that could deter witches and protect cattle. 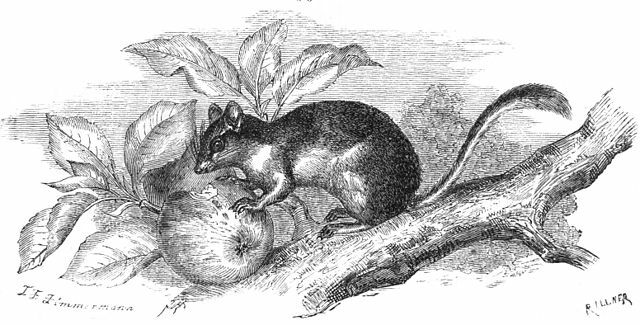 “Garden Dormouse (Eliomys quercinus)” (llustrierter Leitfaden der Naturgeschichte des Thierreiches) by T.F. Zimmermann, 1876. The root of this Anglo-French word is from the French dormir (to sleep). The second syllable may have been mistaken for “mouse” by early English speakers, or it may be a compound of the English “mouse” and the French dormir. In Tudor times, Dormouse could also refer to someone who was sleeping or dozing, in the same way we might call a messy person a pig today. Our last featured word for UN English Language Day is “ruth”, which has virtually fallen out of use in English except as its opposite, “ruthless.” In the Tudor era it was a noun meaning “pity, compassion, or sympathy”. This form of “ruth” predates the Early Modern period by about 350 years and may originate from the Old Norse word hryggð meaning “sorrowful” or “grieved”. A second possibility is that ruth developed directly from the Old English verb “rue”, whose meaning reflects a state of feeling sorry or regretful, and is linked to emotions like grief and distress. There are plenty of other obscure English words to explore in Sue MacLeod’s Namesake, where a history project and a mysterious prayer book connect two teenage girls across time, sparking an unlikely friendship. This Canada Day, celebrate your patriotism the literary way. 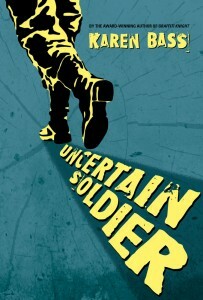 CBC Books has rounded up 100 Young Adult Books That Make You Proud To Be Canadian. How many have you read? Take the quiz on the CBC Books website. 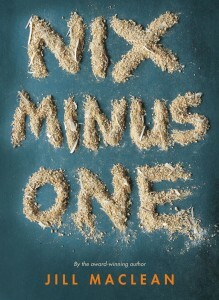 Among the chosen 100 are Nix Minus One by Jill MacLean and Graffiti Knight by Karen Bass. We are indeed proud to have these books recognized as the great Canadian treasures we believe them to be. Will this list inspire you to read more Canada? Are there any standouts you feel are missing? Join the conversation on social media with the hashtag #CBCbooks100.